It’s a challenge to find a more sounding name in art history then Vincent van Gogh. He was a post-impressionist painter whose work, notable for its beauty, emotion, style and color, highly influenced 20th century art. The legendary painter stands as one of the most iconic artists of all time, with his name written down as the greatest Dutch painter in history, only rivaled by Rembrandt for that spot. 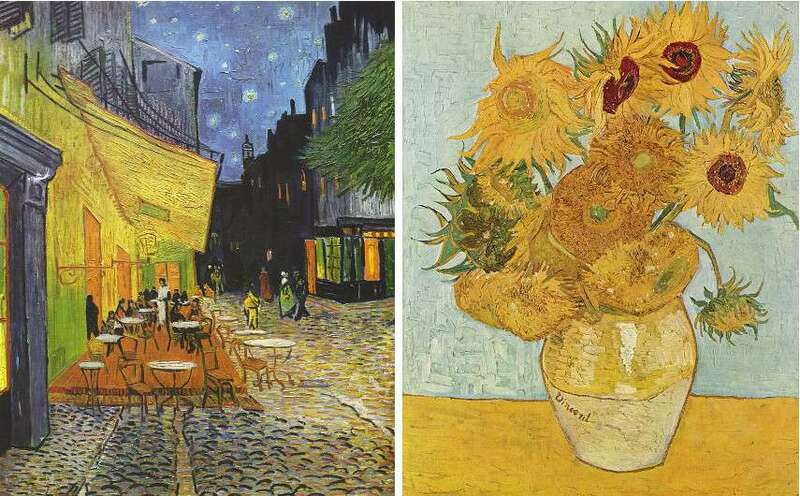 The biggest difference between the two (aside the logical artistic and historic placements) is the fact Vincent remained poor and virtually unknown throughout his life. Vincent’s work stands as a perfect fusion of form and content – powerful, dramatic, lyrically rhythmic, imaginative and emotional. The painter was born on March 30, 1853, in a small town Groot-Zundert, Netherlands. His father, Theodorus van Gogh, was employed as a minister, while Vincent’s mother, Anna Cornelia Carbentus, was an artist. As only fate is capable of writing such stories, exactly a year before young Vincent was born, Anna had a stillbirth and that baby was supposed to be named Vincent. That was a first clue of how morbid and dark Van Gogh’s life will turn out to be, as his name and birthday were already carved on a headstone inside of a local cemetery. Quite a melancholic way to start a life. Both parents had a huge influence on their son. 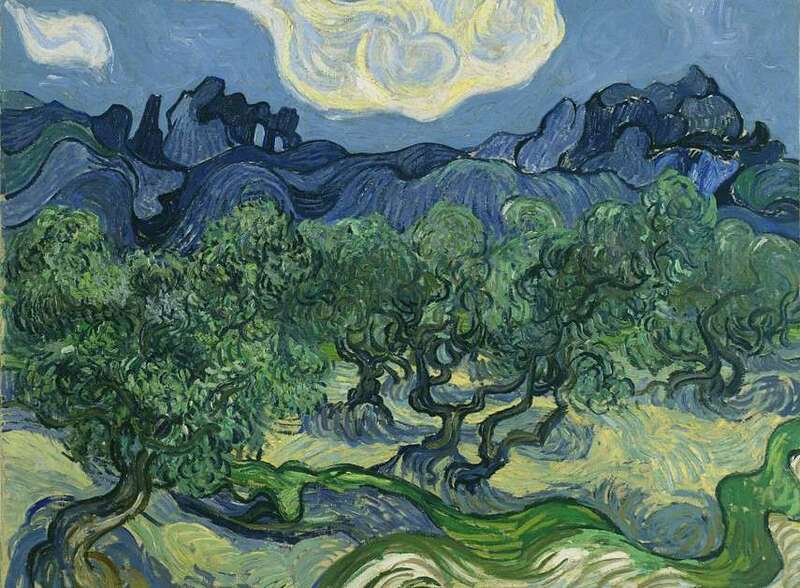 Vincent Van Gogh wanted to follow in his father’s footsteps and be a minister one day, while his mother’s teachings and love of nature, drawing and watercolors found a place in his heart as well. In a time when Vincent was about the age of fifteen, the van Goghs were struggling financially and the father decided against his son’s wishes that he is to leave school without graduating and start providing for his family. Luckily for Van Gogh, his mother’s ties to the artistic scene presented him with an opportunity to work in his uncle’s art dealership, Goupil & Cie. This was a firm of art dealers and enthusiasts in Hague, so logically that meant Vincent was about to go away from Groot-Zundert for the first time in his life. In June of 1873, he was transferred to the Groupil Gallery in London. It was here Vincent met and fell in love with Eugenie Loyer, his landlady’s daughter. Eventually, he asked her hand in marriage and she refused – this was the cause of van Gogh’s first serious mental breakdown. After getting rejected by the young lady he loved, Vincent threw away all his books except for the Bible. He became bitter and resentful, which logically applied to his job performance. He started talking to customers in a rude manner. It wasn’t long before he got fired. This was not a big issue for van Gogh as he had already planned to leave England and try to pass the pastor’s exam in the School of Theology in Amsterdam. When he was given a chance to do so, Vincent refused to do the part of the exam that required him to speak in Latin. He was not allowed to participate in the exam. After seeing no church will hire him, van Gogh volunteered to move to a coal mine in the south of Belgium, a place where man were usually sent as punishment. He preached and ministered to the sick and also drew pictures of the miners and their families, who called him The Christ of the Coal Mines. In the fall of 1880, van Gogh moved to Brussels and become a artist. Having no formal knowledge of painting, he relied upon his mother’s teachings and the experience of drawing inside Belgian mines. His brother Teo supported him financially and provided van Gogh with a place to stay while he studied books like Travaux des champs by Jean-François Millet and Cours de dessin by Charles Bargue. 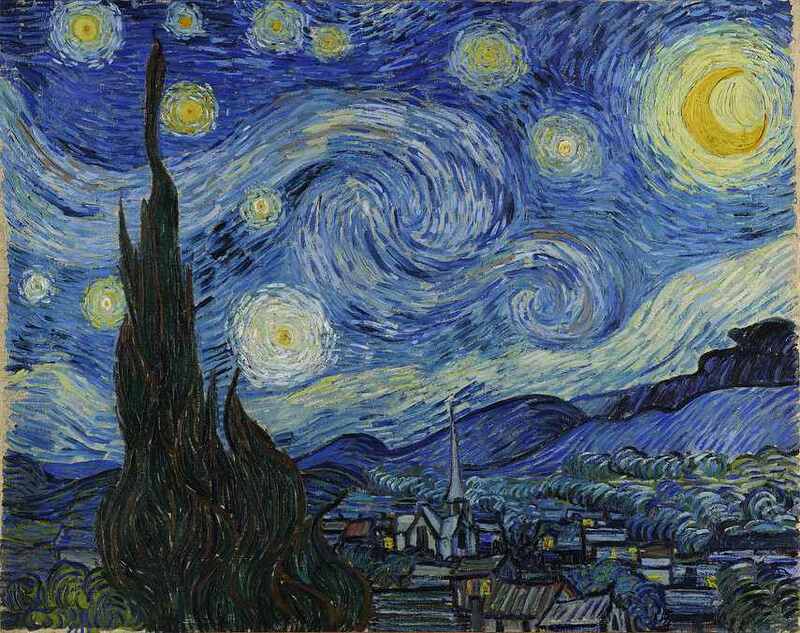 However, van Gogh’s life continued to deteriorate. He fell in love with his recently widowed cousin, Kate and started stalking her to a point she actually fled to another city. After going through another suffering episode, Vincent moved to The Hague and met Clasina Maria Hoornik, an alcoholic prostitute. Eventually, she broke up with van Gogh and returned to a life of prostitution. Throughout the tragedies that followed him on every turn, Van Gogh’s art helped him stay emotionally balanced. In 1885, he began work on what is considered to be his first masterpiece, Potato Eaters. Although no one believed this painting will be taken seriously in Paris, Vincent decided he will still go to the French capital and try to establish himself as a contemporary artist. In March 1886, Theo welcomed his brother into his small apartment located in the middle of Paris. In this art-defining city, van Gogh first saw impressionist works and was inspired by the color and light, the vividness of it all. He began studying with Henri de Toulouse-Lautrec, Pissarro and others. In February 1888, van Gogh boarded a train to the south of France. He moved into the famous little yellow house, started perfecting his style and spending all his money on paint. Before long, it became apparent that in addition to suffering from physical illness, his psychological health was declining. After seeing him, Theo was worried and offered Paul Gauguin money to go watch over van Gogh in Arles. Paul accepted and one night they argued so intensely that Gauguin walked out in the middle of the night. Van Gogh followed him, holding a razor in his hand. After being unable to find Paul, van Gogh went to the local brothel and wanted a prostitute named Rachel. With blood pouring from his hand, he offered her his ear as payment. The police found him in his room the next morning and admitted him to the Hôtel-Dieu hospital. 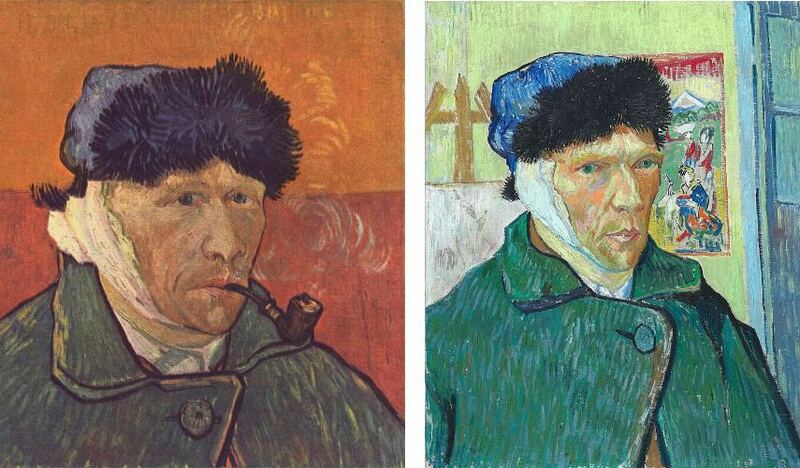 On January 7, 1889, van Gogh was released from the hospital. He would paint at the yellow house during the day and return to the hospital at night. After the locals signed a petition saying that van Gogh was dangerous, he decided to move to the Saint-Paul-de-Mausole asylum. 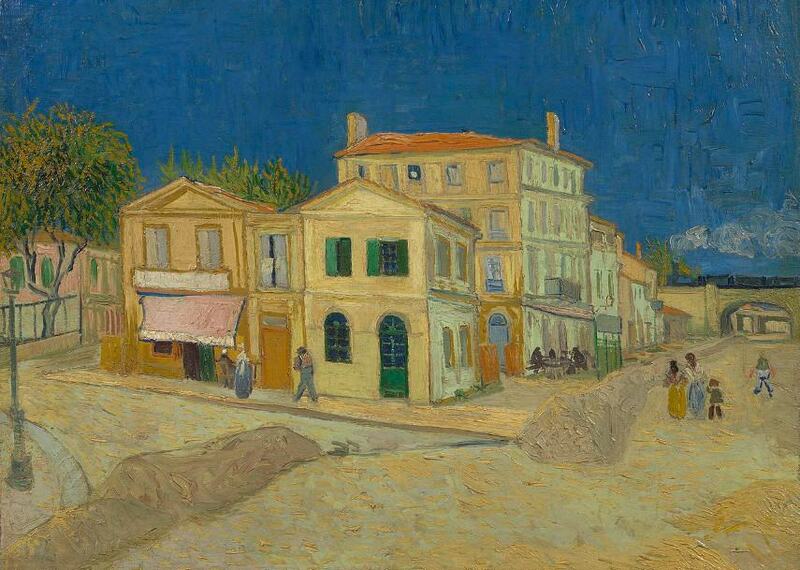 A year and a half later, van Gogh started to feel better and made a choice to move to Auvers. He was okay for a while but soon returned to his psychological state of panic and craziness. 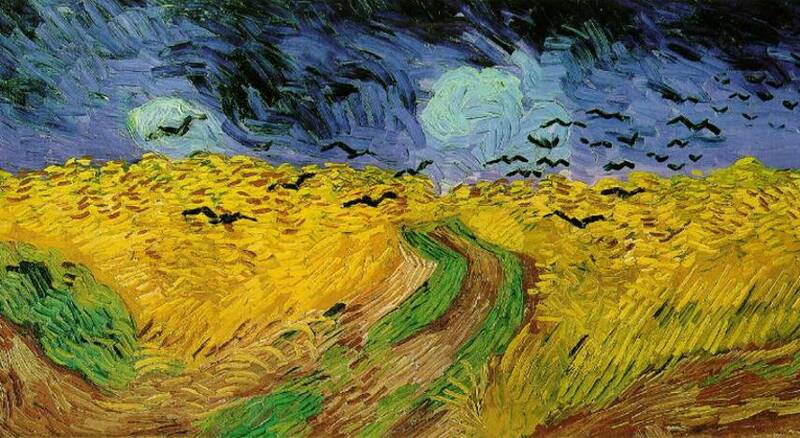 On July 27, 1890, van Gogh went out to paint in the morning as usual, but only this time he carried a loaded pistol. He shot himself in the chest and was taken to a nearby hospital and his doctors sent for Theo. They spent the next couple of days talking together before van Gogh asked Theo to take him home. 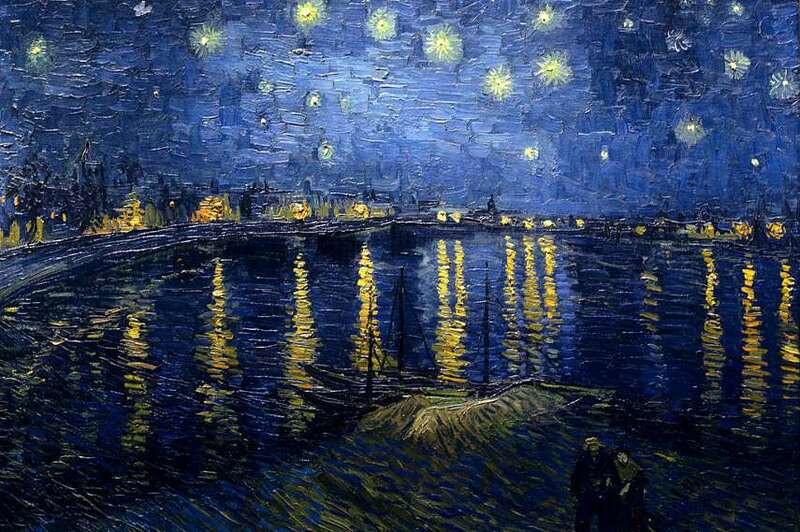 On July 29, 1890, Vincent van Gogh died in the arms of his brother. 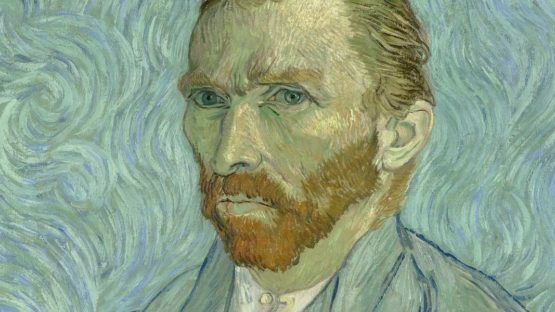 Van Gogh’s finest works were produced in less than three years and were done using a technique that grew more and more intense in brushstroke, in symbolic and strong color, in surface tension and in the movement and vibration of form and line. Ultimately, Vincent completed more than 2,100 works, consisting of 860 oil paintings and more than 1,300 drawings and sketches. Today, his pieces are considered to be some of the most expensive possessions in the world – but during his lifetime, van Gog managed to sell only one of his paintings. 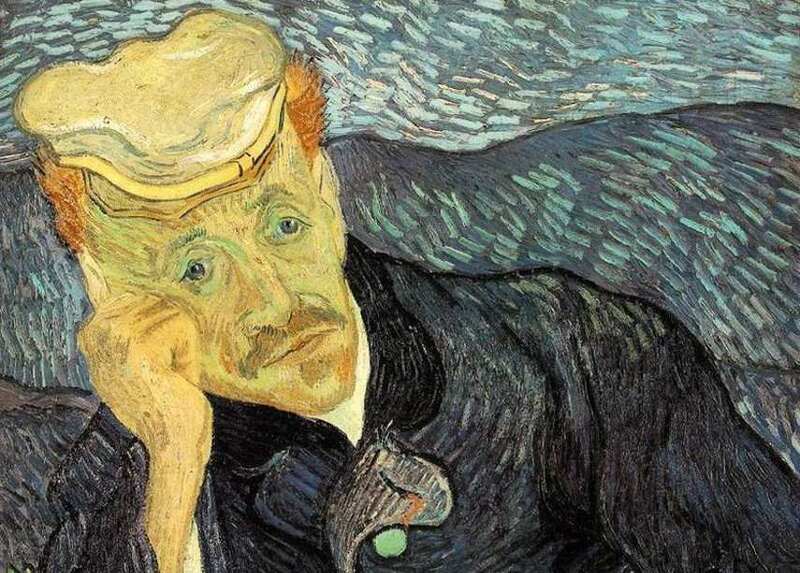 The story of van Gogh remains as one of most disturbing ones in art history, showing just how much fate loves toying with irony – arguably the most important artist of all time was cursed to live perhaps the toughest life of all the painters that ever were.